Up to 1-Hour Meeting. Every one of my projects begins with an in-person consultation. This is a chance for us to get to meet you, your family and your home and learn about what you are looking to achieve. We want to be able to see how you live in your space and hear about the things you love and what you are looking to improve. This is an important step in every design process because it lays the groundwork for the remainder of the project. It will also help us provide a detailed proposal to determine our goals, the budget and any details we need to know about the space before beginning. We follow-up our consultations with a recap of this meeting and a project proposal. Then, the fun begins! Having trouble picking paint colors or a wall covering for one room or throughout your home? Melissa's Designs offers full services Paint & Wall Covering Consultations. 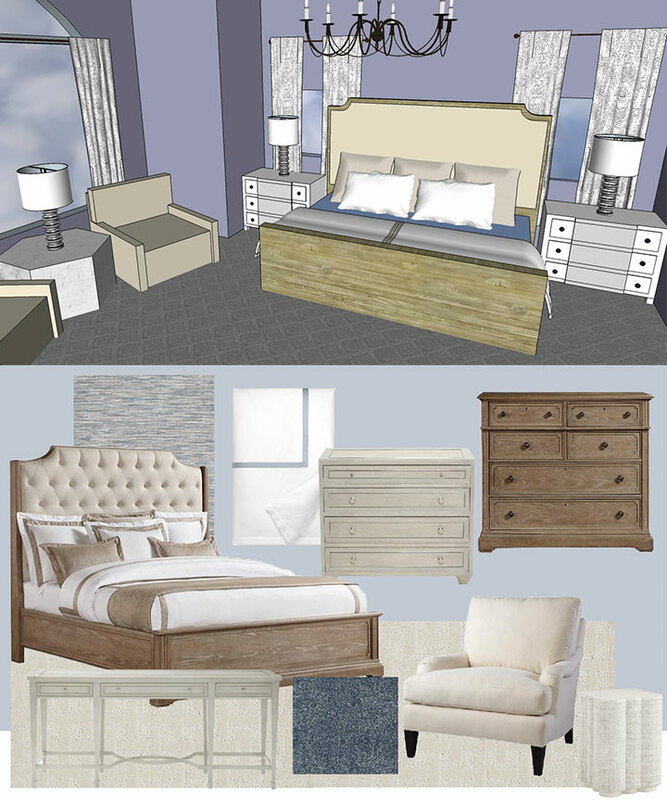 After our initial consultation to review your specific needs and discuss your design style and goals for each space we will get to work putting together a Color Proposal. Once we are in agreement on the options presented in the Color Proposal our team will bring samples into your space to test. After 24 hours we will decide which choices work best for you. To complete the consultation, a detailed paint/wall covering guide will be delivered to you to share with your painter or installer. Every good design begins with a well thought out plan. Melissa's Designs offers Design and Space Planning as a stand-alone project or as part of our Full Service Interior Design. Once we have had an initial consultation with you, we will schedule a measuring session. This is our opportunity to measure the space as well as anything existing that you wish to incorporate into the updated space. From there we will take some time to put together a three-dimensional floor plan as well as a mood board. The three-dimensional floor plan will indicate suggestions on furniture & decor placement as well as any added architectural features we suggest incorporating. Once we have completed these plans we will set-up time to meet so we can present our ideas and discuss your feedback! At Melissa's Designs we also offer hourly design services for smaller projects as listed above. If you are not looking to redo an entire room and are rather looking to update one piece or window treatments this service provides our clients the opportunity to still have a designer's help even on smaller projects. Each project is unique so after an initial consultation the best approach will be determined and proposed to you. Looking to update? Just moved? Have a contractor or an idea but overwhelmed at the thought of doing it all on your own? We can help! Combining all of our service offerings we can provide you with start to finish interior design. We work alongside architects, contractors, etc. to complete your project. Using our project management and interior design experience we make each project organized, seamless and enjoyable.